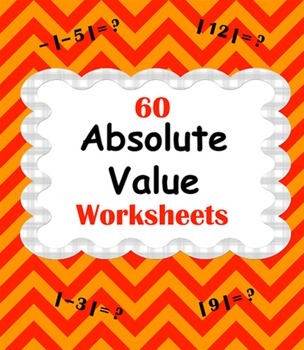 Absolute Value package includes 60 worksheets. 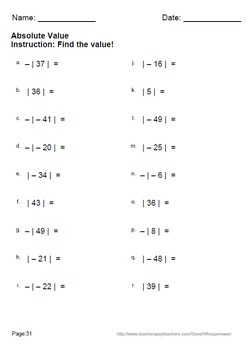 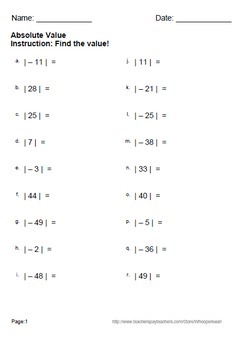 Find the absolute value of the integers. 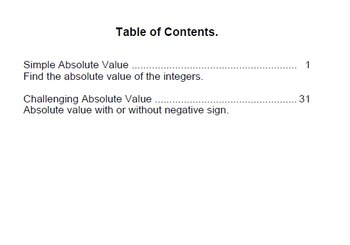 Absolute value with or without negative sign.